A few days ago, GhanaCelebrities.Com published an Open Gossip in which we mentioned that we have in our possession some wild n*ked photos of the wife of a Ghanaian footballer—today, we think you should know whose n*ked photos we have and the truth behind the leaked photos. Apart from the obvious ‘conscience and decency’ reasons, we did not publish these indecent photos because we wanted to dig deep into the gutters—owing to what Amanda told us when we contacted her over the photos. After our deep digging, it has become apparent that Amanda Acquah did not send those photos to any man behind her husband—and in fact, her husband collaborated her story. 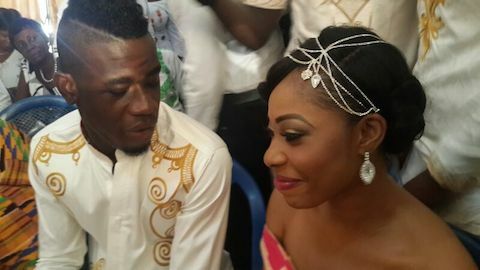 According to Amanda and Afriyie Acquah, Amanda took those private photos and sent them to her husband as many do in relationships—but unfortunately, a certain friend of Afriyie Acquah called Rodney Aboagye managed to steal those photos from Afriyie’s phone. This brings us to something like a malicious intent by this Rodney Aboagye and a certain Jessica Lebene (girlfriend of Ghanaian footballer Richmond Muntari who plays at Qatar) to have the photos published—so to get back at the two Acquahs. 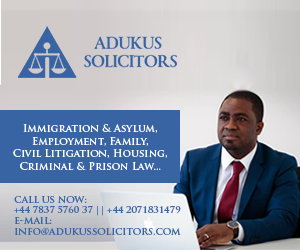 According to Amanda Acquah, Rodney Aboagye used to ‘supply’ her husband with women before they got married—and since they became husband and wife, her husband distanced himself away from Rodney which has created an unhealthy tension between the two. Apparently, Jessica Lebene used to be one of the girls Afriyie was messing with before he got married to Amanda—and today, she is alleged to be the person behind the spread of those n*ked photos on various social media platforms, using several fake accounts. When GhanaCelebrities.Com spoke to Afriyie Acquah, he stated that, his wife is a decent woman who only sent him those photos because of distance—and therefore, it’s unfortunate some evil individuals have gotten hold of them and are using them maliciously. So we know Amanda Acquah is the name—and we also know the truth behind the leak. Vardis….. Telemo…………. (i was waiting for ur comment). oh Sasha, na me boa? John nono! I knew you wld be here. [email protected] togb333! I was out of town for a bit. Ma fe WO papa. Your comments are always delightful, Mr. Vardis. oh Sister Ama, woama me ti ay3 konooo… Delightful as you. h33 Pee Tommy, wo y3 magic..
IVE GAINED MUCH RESPECT FOR THIS MAN. NOT ALL MEN IN GH WILL DO WHAT HE HAS DONE. Na woo Chris de3 tena h) na gye gu wo boto mu saa wai.. tomorrow u will be third person. Say that again lol, his name really sounds familiar.